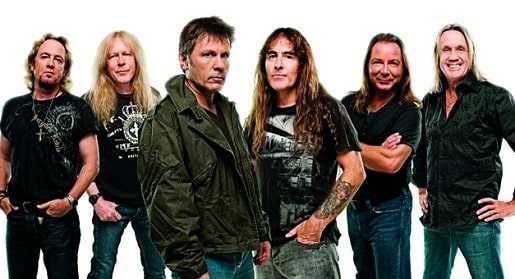 Iron Maiden is a band that baffles a lot of people starting with their music, symbols and many other things. All the things they do on and off-stage are not the best thing a band can do. They have great music,and their fans love them,but some people think the band is weird. The band gives heavy metal another definition and has been doing so for the past decades. They have over 16 studio albums, 12 live albums,and seven compilation albums. They are the British metal gods as they have delivered hot scorching metal riff and an endless list of metal classics. Almost everyone who listens to the band’s heavy metal is aware of their symbols. The most apparent thing is in their lyrics. In almost every song they do, there is a line or two or a whole song praising the devil and chanting occult practices. Some people even believe some of their performances are rituals dedicated to pleasing the devil. In their song video Bring Your Daughter to the Slaughter, the band is seen slaughtering people and drinking their blood? Who else does this if they are not satanic? This is frightening,and even the music cover of the song is a skeleton holding a blood dripping axe! This is probably one of the most visible and shocking things about the band. Everyone in the world knows about a number of the beast 666. The band has done a song on the same,and it became one of their best-selling albums of all time! Coincidence? When he was young, Bruce Dickinson was expelled from boarding school. He was wandering over,and he decided to take a pee at the headmaster’s dinner! The band is well known and accused of Satanism all over the world. It’s one of the band which does music concerning the devil and performs while doing all the wrong satanic symbols. Despite all this, the band has managed to win over the heart of a Brazilian priest Marcos Motolo,and he describes himself as their number one fan in the whole world. 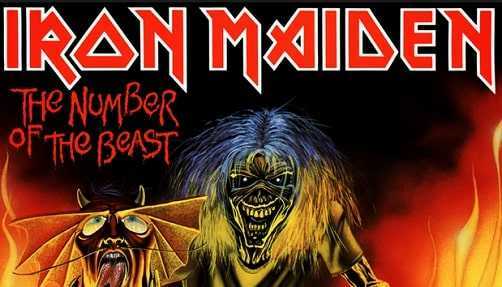 While producing Number of the Beast one of their most infamous albums, the band’s producer at the time got into a car accident. He received a repair bill of £666. If this isn’t hype, then it’s frightening. The band has been known to get so much into their music and start smashing their instruments including guitars and drums. When going on tours, the band travels like no other artist or band. They charter a whole fleet of buses in their own branded airplane. It’s a Boeing, but it has no imprints of this inside or outside. Dickinson says it’s their own time machine. The band is one of the fearless bands of all time. They were brave enough to hold a concert in Sarajevo despite the Bosnian War and mind you, Sarajevo was under siege at this time! 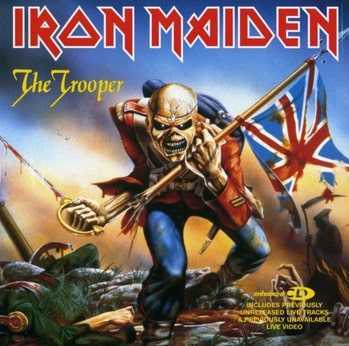 Eddie the head appears in iteration on every single Iron Maiden album cover. In this particular one, he appeared as a dead soldier with a decaying head on top of a tank. This might sound unbelievable but it’s true. Dickinson is a qualified and certified commercial pilot. He is the one who flies the band with the Ed Force One while they are on tour and he wears a full captains uniform when flying the band. In all their songs, the lyrics are terrifying suggesting that the band belongs to a cult. It’s shocking that all their songs are based on occults and Satanism. Despite the band being accused of being satanic, it consists of well dedicated Christians like Nicko McBrain, the drummer who was born again after he accompanied his wife to church in 1999. This is one reason why the band will always be accused of Satanism. Despite them being the best hard metal bands and having some of the best performances, they wear satanic costumes on stage. Some of the band members even wear horns and drink blood on stage. 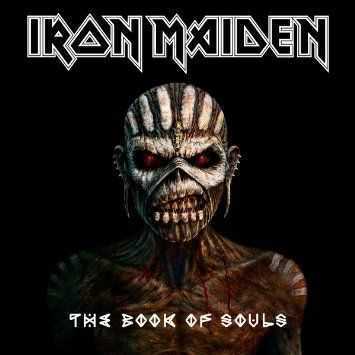 Everyone who knows Iron Maiden knows they have some of the scariest album covers in the world. They also publish creepy posters for all their tours, but this time around they went too far in Lithuania. Some of their posters were banned by authorities in Lithuania for being too scary,and it might scare off children.